We may not know it, but fractals, like the air we breathe, are all around us. Their irregular, repeating shapes are found in cloud formations and tree limbs, in stalks of broccoli and craggy mountain ranges, even in the rhythm of the human heart. In this documentary film, NOVA takes viewers on a fascinating quest with a group of maverick mathematicians determined to decipher the rules that govern fractal geometry. Produced and directed by Emmy and Peabody Award winning filmmakers Michael Schwarz and Bill Jersey, the documentary weaves cutting edge research from the front lines of science into a compelling mathematical detective story. The film introduces a number of distinguished individuals who have used fractal geometry to transform their fields, like Loren Carpenter, who created the first completely computer-generated sequence in a movie. 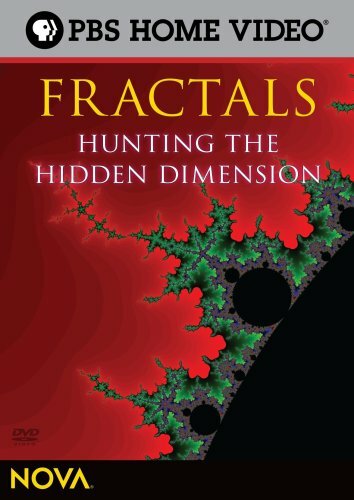 In the late 1970s, Carpenter stumbled across the work of a little-known mathematician, Benoit Mandelbrot, who coined the word "fractal," from the Latin word fractus, meaning irregular or broken up. Based on Mandelbrot's mathematical descriptions of fractals in nature, Carpenter was able to create detailed computer simulations of organic forms in a way that had never before been possible. The groundbreaking computer generated sequence Carpenter produced in 1980 for Star Trek II: The Wrath of Khan marked a milestone in movie history, and owed its creation to fractal geometry. Filmmaker Bill Jersey believes Mandelbrot's approach to fractals might ultimately become as significant as the cracking of the genetic code. "As fractals continue to revolutionize the way scientists develop theories and conduct research, the inevitable results will be innovations that dramatically change health care, environmental policy, design, and technology," Jersey says. In 1980, Mandelbrot published a mesmerizing image known as the Mandelbrot set. (To explore the set, go to A Sense of Scale.) The intricate, mysterious beauty of this image, which was generated by a single mathematical function, won him acclaim from an unexpected quarter in the world of popular culture. But fractals are more than pretty pictures. Almost all living things distribute nutrients through their bodies via branching networks, such as systems of blood vessels, that obey the rules of fractal geometry. In Toronto, physicist Peter Burns is making a mathematical model of blood vessels to find ways to diagnose cancer earlier than is now possible. In Boston, cardiologist Ary Goldberger has discovered that, contrary to centuries of belief, a healthy human heartbeat does not have an even pattern like a metronome but rather a jagged, variable fractal pattern. This discovery that may help doctors diagnose cardiac disease before damage is done. "This film is about looking at the world around us in a completely different way," says producer Michael Schwarz. "If you pay attention, you can see that fractals appear throughout nature. But until Benoit Mandelbrot came along, no one really understood what was there all along."